The Rensselaer Polytechnic’s Lighting Research Center (LRC) recently published a new report on the energy and economic performance of light-emitting diode (LED) horticultural lighting. In the report, which was based on a survey of growers and lighting manufacturers, the LRC evaluated key factors such as power demand, life-cycle cost, luminaire intensity distribution, and luminaire shading. The LRC also considered the effectiveness of the entire lighting system for a controlled growing environment. The research team found that for a given growing area, energy savings were possible with some of the tested LED horticultural luminaires compared to the tested HPS and metal halide (MH) horticultural luminaires, when meeting the same photosynthetic photon flux density (PPFD) criterion. However, there was remarkably wide variation among products. In addition, on average, approximately three times as many LED horticultural luminaires would be needed to provide the same PPFD as a typical 1,000-watt HPS horticultural luminaire layout. 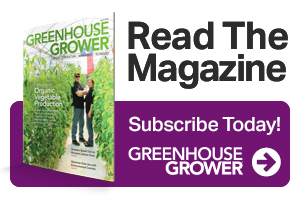 “However, despite these findings, LED horticultural systems will undoubtedly evolve to surpass HPS in terms of performance,” Radetsky says. 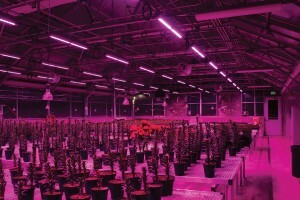 For this project, the LRC developed an equal-PPFD-based framework for evaluating and comparing horticultural luminaires, which includes 11 luminaire-specific metrics and five application-specific metrics to provide growers with the most accurate information regarding any given horticultural luminaire’s performance. The LRC used this framework to evaluate a total of 14 horticultural luminaires, including 10 LED products. The evaluation included photometric testing, application simulations, and life-cycle cost analysis. When choosing a lighting system for a greenhouse, growers should consider the size and number of luminaires needed, because luminaires block daylight from reaching the plants. The LRC shading analysis found an increase in shading from LED luminaires compared with HPS luminaires due to the size of the luminaires and the fact that more are needed to provide the same PPFD. The shading from LED luminaires reduces daylight in a greenhouse by up to 55% compared with a 5% reduction in daylight from HPS luminaires; thus more electric energy could be needed for lighting with the LED systems, depending upon the available daylight. In a recent LRC survey, 75% of growers identified the cost of LED horticultural lighting to be a barrier to adoption; therefore, it was important to include a life-cycle cost analysis in the report. The LRC found that three of the tested LED horticultural luminaire lighting systems had lower life-cycle costs, and the remaining seven had higher life-cycle costs than either of the two 1,000-watt HPS lighting systems that were tested. The project was funded by the Lighting Energy Alliance and Natural Resources Canada. 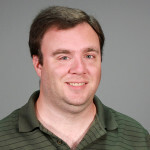 Members of the Lighting Energy Alliance include Efficiency Vermont, Energize Connecticut, National Grid, and the Northwest Energy Efficiency Alliance. Complete results of the study are available on the LRC website.